France’s three wealthiest families are coming to the rescue of a national icon, spearheading a fundraising drive to rebuild Notre Dame that has topped $700 million. 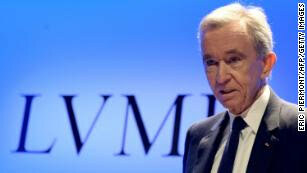 LVMH and its CEO Bernard Arnault have promised €200 million ($226 million). The donation has been matched by the Bettencourt Meyers family, which controls L’Oreal. The Pinault family, which operates luxury conglomerate Kering has pledged €100 million ($113 million). Other French companies have also written big checks: The oil and gas company Total has promised €100 million ($113 million), while tech and consulting firm Capgemini will give €1 million ($1.1 million).